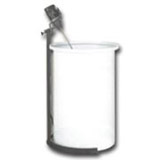 These Round Plastic Storage Tanks are made to provide you with quality storage of a variety of liquids including fertilizers, water, and various chemicals. Providing you with lasting storage, these horizontal tanks limit the risk of cracking and leaks by using oneseamless piece of polyethylene. This offers you the strength and chemical compatibility of polyethylene in a design that is meant to survive. 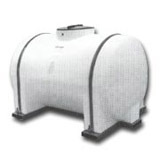 Additionally, these plastic storage tanks contain UV stabilization to help them hold up in outdoor conditions. For non-DOT regulated transportation of these units, most tank sizes are available with steel platforms and straps that allow them to easily move liquids around your locations. This makes them ideal for use as water transportation around your area or moving chemicals from one location to another.